How Serious is a Reckless Driving Charge? You might be thinking that reckless driving is not that serious of a crime. However, a reckless driving conviction can have lifelong consequences, even for a good driver such as yourself. Some of our clients need to fight the case because they drive for a living (usually, this is the case for CDL holders) and need to avoid a license suspension. These people can’t do without their licenses for a 30 day period or longer. This will happen if you get convicted of reckless driving. Other people want to avoid the automobile insurance increase associated with a reckless driving conviction. Still others want to avoid the frightening possibility of probation and a criminal record. There is a lot at stake with a reckless driving case, so don’t take it lightly. Do your best to fight this charge and avoid these consequences. What is Connecticut’s Reckless Driving Law? Sec. 14-222. Reckless driving. (a) No person shall operate any motor vehicle upon any public highway of the state, or any road of any specially chartered municipal association or of any district organized under the provisions of chapter 105, a purpose of which is the construction and maintenance of roads and sidewalks, or in any parking area for ten cars or more or upon any private road on which a speed limit has been established in accordance with the provisions of section 14-218a or upon any school property recklessly, having regard to the width, traffic and use of such highway, road, school property or parking area, the intersection of streets and the weather conditions. The operation of a motor vehicle upon any such highway, road or parking area for ten cars or more at such a rate of speed as to endanger the life of any person other than the operator of such motor vehicle, or the operation, downgrade, upon any highway, of any motor vehicle with a commercial registration with the clutch or gears disengaged, or the operation knowingly of a motor vehicle with defective mechanism, shall constitute a violation of the provisions of this section. 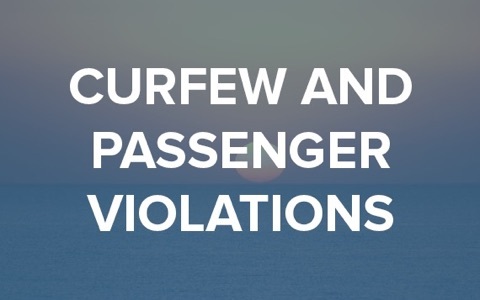 The operation of a motor vehicle upon any such highway, road or parking area for ten cars or more at a rate of speed greater than eighty-five miles per hour shall constitute a violation of the provisions of this section. What are Penalties for Reckless Driving? A jail sentence of up to 30 days. A DMV imposed driver’s license suspension for at least 30 days. For a second or subsequent offense, you face a fine of up to $600, a prison sentence of up to one year, and a driver’s license suspension of up to 60 days. How Can They Take My License? The Department of Motor Vehicles considers driving a privilege, not a right. This means that the state can take away your driving privileges if it feels that you have broken the rules of the road or that you pose a threat to other people on the road. What About Getting to Work? How am I Supposed to Pay My Mortgage and Taxes? The DMV and the prosecutors are not concerned with these issues. They consider these your problems and not theirs. Unfortunately, there is no work permit available if you are charged with reckless driving. This means that if convicted, you will lose your license for a minimum of 30 days. If you do not have access to public transportation, you might have to rely on friends or family members to get to work, or you might have to pay for expensive private transportation. What Happens if I Drive with My Suspended License? If you drive with a suspended license and you get caught, you face additional penalties such as more jail time, more fines, and a longer suspension of your license. This is a question with no one right answer. It is not required that you hire a lawyer, and you may decide not to hire one for various personal reasons. However, if you want to provide the best possible defense for your case, you should seriously consider hiring a lawyer. A lawyer will have the knowledge and the experience to help you through this process. Our lawyers have the knowledge of Connecticut’s laws, courthouses, and defenses to traffic violations to defend a reckless driving case or a similar one for you. Can I Hire any Attorney? Lawyers do not necessarily “specialize” in a certain type of law in the way that doctors specialize in an area of medicine. This means that lawyers can handle any case that they come across. This might be good for a lawyer who can practice a little bit of this and a little bit of that, but it isn’t good for you, since you want a lawyer who has experience with motor vehicle defense. If you find just any lawyer to represent your case, you run the risk of this lawyer lacking experience in cases like yours. To fix this issue, you should make sure that the lawyer you hire has knowledge of Connecticut’s driving laws and has handled reckless driving cases in the past. Reckless driving cases can be difficult to win, so it is important to make sure that you find the right lawyer to represent you. What are Your Fees? Aren’t You Expensive? Unlike other lawyers, at Mr. Speeding Ticket™, we charge a flat fee basis. This means that there are no hidden fees when you hire us. After we review your case, we will give you a quote of how much we will charge for our services. We do not charge you by the hour or by court date, because we know that your case might take a long time to get right. For more information on our pricing practices, please contact our office. At Mr. Speeding Ticket™, we believe that every case is defendable. We are always looking for innovative and creative ways to defend our clients. While reckless driving charges can be complicated and difficult to win, this is not reason to give up. We will do our best to win your case from the moment that you contact us. The first thing that you should do to protect yourself and your rights is call us. Reach us at 800-520-1725. You will likely speak to one of our paralegals, who can get your personal information and set up a free consultation with you and one of our attorneys. During this consultation, we can advise you on Connecticut law, tell you the facts about your case, and discuss your options with you. You can click to call our office by pressing the phone number at the top of our home page. Please contact us today to put us to work on your defense.